A seller's title to a home is transferred by means of delivering a written document or deed to a buyer. The person transferring title is known as a "grantor," and the person receiving title is a "grantee." There are different kinds of deeds, each of which offers the "grantee" different degrees of protections and covenants. There are up to six express covenants that may be found in a deed: the covenant of seisin, the covenant of the right to convey, the covenant against encumbrances, the covenant of quiet enjoyment, the covenant of general warranty, and the covenant of further assurances. Whether you are a buyer or seller, if you are trying to negotiate a deed to a home that includes or does not include a covenant against encumbrances, the Boston real estate attorneys at Pulgini & Norton may be able to help. Recording a deed at the Registry of Deeds is not a transfer of title. Instead, it is notice to subsequent purchasers and others of a transfer and the promises that were made in the transfer. Research at the Registry of Deeds is a part of the title examination necessary when buying a home. 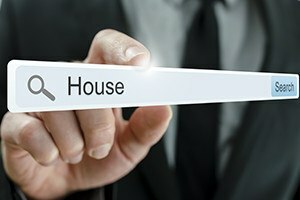 If the deed is recorded, it is also presumed the deed was delivered, but it is the actual delivery of the deed that matters most in transferring title to the property. If the grantee possesses the deed, it is presumed that the deed was delivered and that title as specified in the deed was transferred. Once the deed is accepted, the contractual obligation to deliver marketable title as specified in a purchase and sale agreement or other agreement stops being effective. However, the deed itself may include a covenant against encumbrances and other covenants related to good title. A release or quitclaim deed will convey no warranty about the grantor's title being good. It will not include a covenant against encumbrances. These deeds should be cheaper because the buyer takes a risk in accepting this type of deed. A general warranty deed will include several express guarantees, including a covenant against encumbrances. These covenants are made with respect to defects in title that arose even before the grantor had possession. A special warranty deed makes specific promises, but it only makes them with respect to defects that may have arisen during the time that the grantor had possession of the home. The covenant against encumbrances found in general warranty deeds is a promise that is closely related to conveying marketable title. If there is an encumbrance at the time the deed is delivered, there is a breach of this covenant. An encumbrance is a burden or impediment on property that makes the property less valuable or marketable. It not only lowers value but also can impede a transfer of the property. Examples of encumbrances are easements, mechanic's liens, taxes that have accrued but have not been paid, and mortgages. In Massachusetts, a grantor is supposed to let a grantee know about the existence and nature of any real property encumbrance before consideration is paid. A covenant against encumbrances is considered a present covenant, and if it is breached, it is breached when the deed is delivered. The delivery date is the date on which any cause of action for a breach of the covenant against encumbrances is triggered. The statute of limitations in Massachusetts is six years if the deed is not signed under seal and 20 years if the deed is signed under seal, as most deeds are. Our experienced Boston real estate lawyers can help you negotiate a deed that includes a covenant against encumbrances or other promises. Our firm also advises and represents buyers, sellers, and lenders in Newton, Weymouth, Malden, and other cities in Massachusetts. Call us at 781-843-2200 or contact us via our online form for a free consultation with a property transactions attorney.